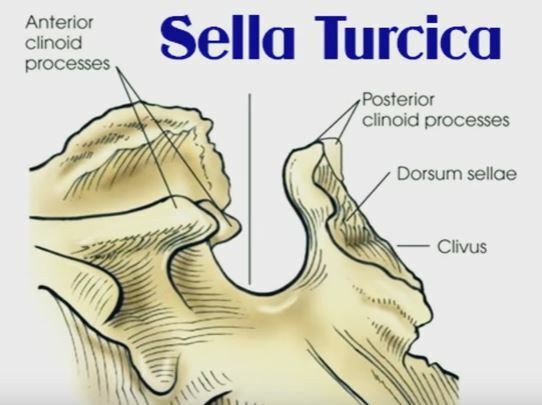 Sella turcica resembles as saddle-like depression, which provide place for the pituitary gland. 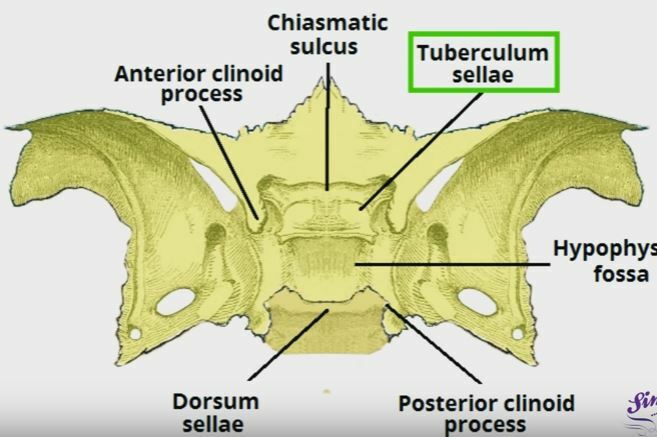 Anatomically, the sella turcica has been expressed as variable. 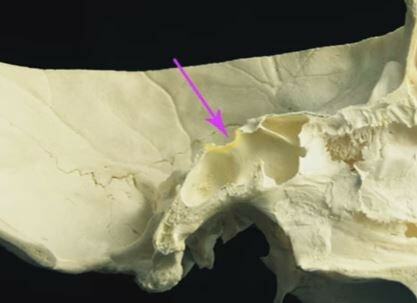 It is divided into three fragments and consists of an anterior wall, a floor, and a posterior wall. 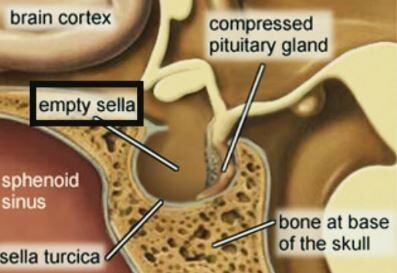 In normal condition, the pituitary gland is closely fitted within sella turcica. 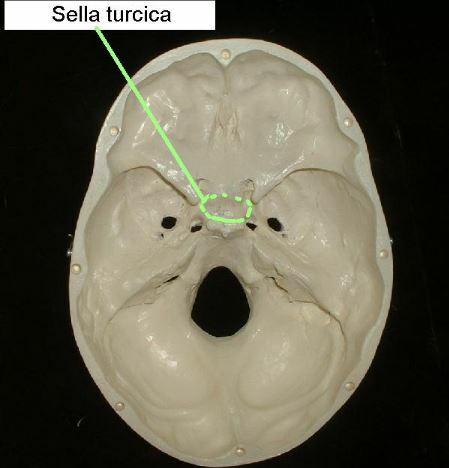 In empty sella turcica, due to the shrinkage and flattened of pituitary gland, the size of the sella turinica appears relatively larger, though the actual size of the sella turinica actually remain normal. 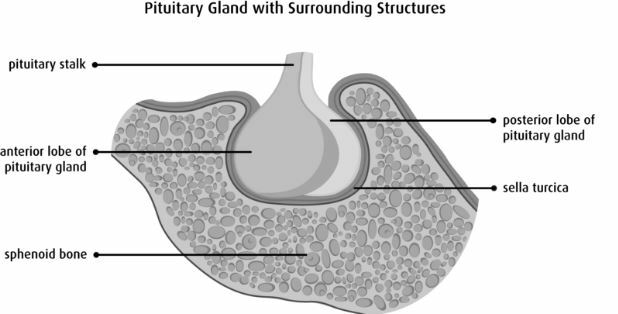 The size of the pituitary gland does not affects it function, but in some cases shrinkage of the pituitary gland causes hypopituitarism and leads to under activity of the hormones secrete from pituitary gland due to insufficiency. 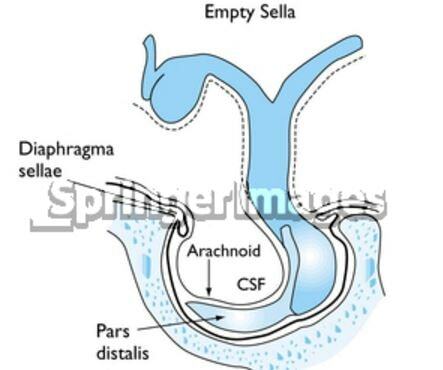 Clinical pathology states that due to the weakness of the diaphragma sellae, which is the covering of the pituitary gland and acts to provide barrier of flow to cerebrospinal fluid (CSF) into the sella turcica, and resultant effect shows leakage of the CSF into the sella turcica. The excessive amount of this fluid provides pressure to the pituitary gland and become shrink in size. This appears as empty space present in the sella turcica and termed as empty sella turcica. Empty sella defined as an enlargement or deformity of sella turcica that is completely or partially filled with CSF (cerebrospinal fluid). In fact, the expression ’empty sella’ is a not accurate, as the sella is not entirely vacant. 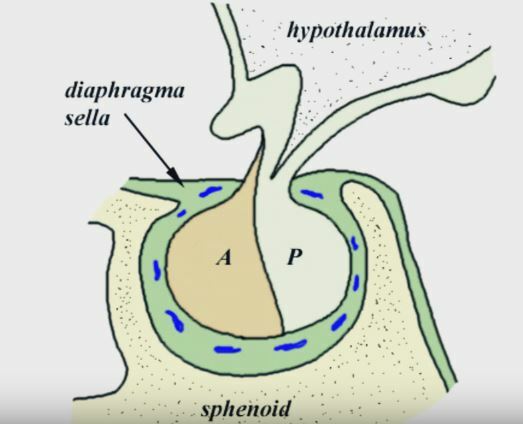 The pituitary is constantly present both anatomically and physiologically, though it is dislocated downwards and squeezed by the pressure of cerebrospinal fluid. 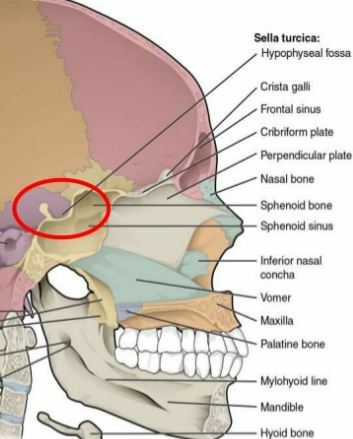 Expansion of the suprasellar subarachnoid space. 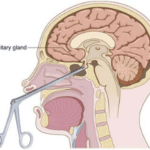 The secondary empty sella syndrome develops, when the pituitary fossa turn into empty due to the surgical removal of the pituitary gland or radiation therapy causes damage in the pituitary gland. 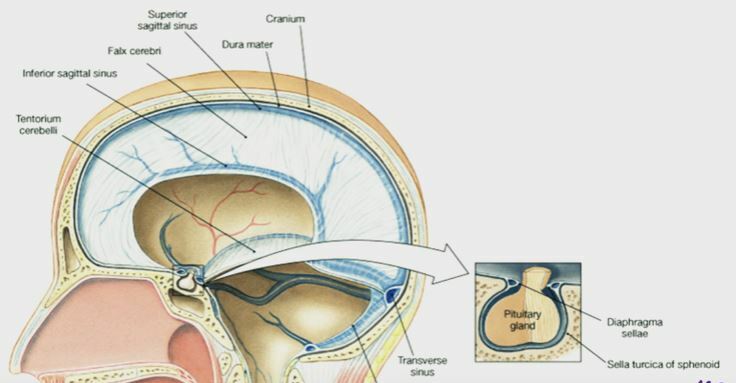 Presence of pituitary tumor can cause tissue necrosis or pituitary gland becomes shrink due to internal hemorrhage. Early onset of empty sella syndrome in the childhood can cause inhibition of growth due to shortage of GH (growth hormone). The lateral X-ray of the head may expose the enlargement of the sella. CT scans (computerised tomography scans) can provide the image of the pituitary fossa filled up with large quantity of watery fluid or CSF. MRI (Magnetic resonance imaging) can provide a confirmatory diagnosis of an empty sella. No treatment is usually need. In case of hormonal imbalance, hormonal replacement therapy need to correct the hormonal balance.